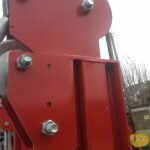 The side tilt post driver contains all the features of the standard post driver with the extra design feature of a hydrualic side tilt capability. 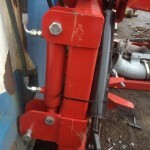 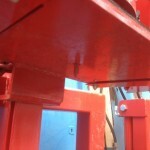 This allows the post driver hammer to be levelled on hilly or uneven terrain. 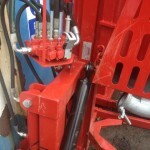 In-cab hydraulic controls allow the operator to remain in the tractor when operating the post driver. 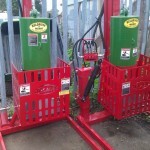 Drives posts up to 11FT height and 12″ diameter.